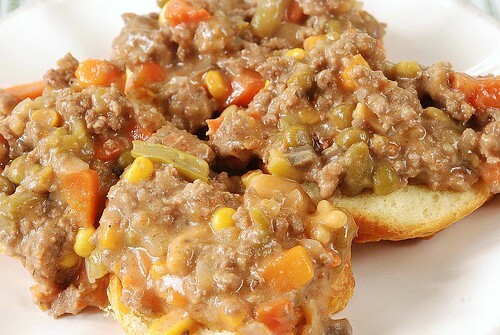 Hamburger and Vegetables over Biscuits is an easy can-opener supper for that night when you have no time to cook. Serve over toast, biscuits, rice or mashed cauliflower or potatoes. What I’m about to do is difficult, and completely humiliating. Since the original purpose of this blog and my ultimate goal is to print a full-color family cookbook, this can-opener recipe must be included for my collection to be authentic. 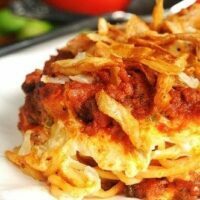 It is a STANDARD in my house when I need a quick and easy supper. Someday my grandchildren may want to know how to make it for their kids. Now they will have it in writing. Do you think Campbell’s will still be in business by then? 1. It’s quick. 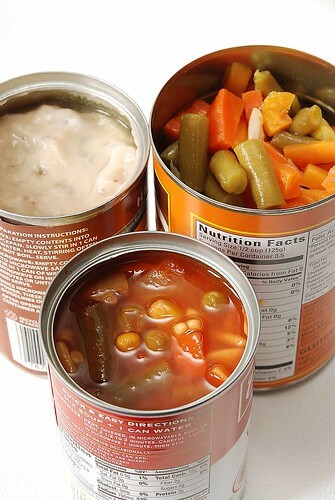 10 minutes from can opener to the table. 4. 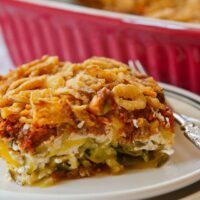 All ingredients are stored in the pantry or the freezer. 5. It DOES have vegetables. To all my friends who think I cook EVERYTHING from scratch….well, not always. Here’s proof! Even better the next day. 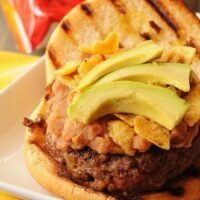 Great way to use up leftover buns. Also tasty rolled up in my favorite tortillas. 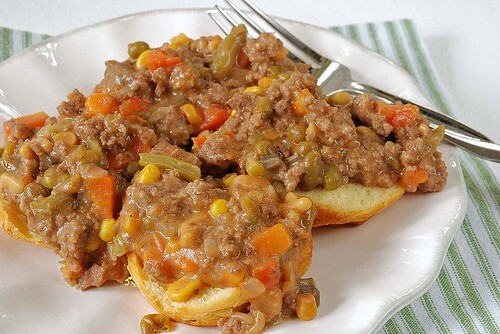 Ground beef and veggies combined for easy dinner to serve over toast or biscuits. Brown ground beef in medium skillet and drain excess grease. Add onions and cook until tender. Add 1 tablespoon of water and cover if necessary to keep from burning. Stir in remaining ingredients. Heat on med/low until heated through. Remove bay leaf. 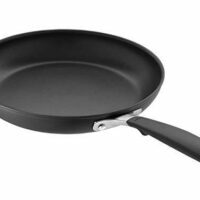 Serve over biscuits or toast. 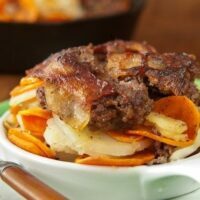 Bacon, ground beef, sliced potatoes and carrots are layered in a skillet to make a delicious supper in minutes. 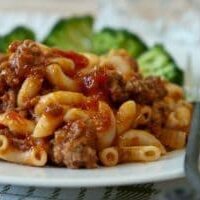 One of my husband's favorite comfort foods with macaroni, ground beef, pasta sauce and plenty of catsup. 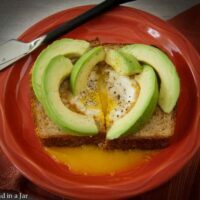 Avocado-Egg Toast makes a quick supper for avocado lovers. This dish always reminds me of Brett because it was one of the only dishes he has ever made for me. I agree that it is very tasty and I have not been eating it my whole life! It is good leftover as well!